I saw this on TV long time back on a food show from Denmark. 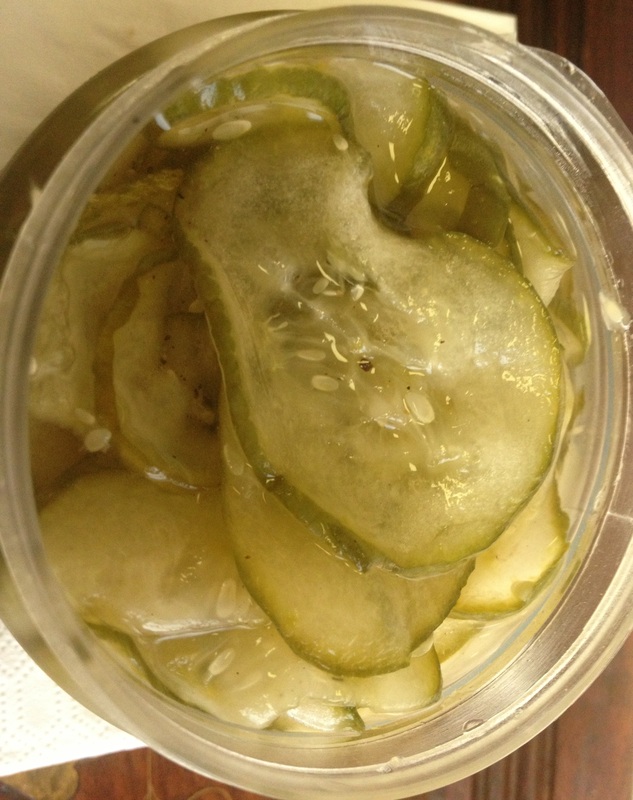 This simple pickled cucumber is so easy to make. You might search the web for accurate measurements but the below recipe worked fine for me. Make small quantities so that it tastes fresh and won’t go rancid. Mix salt and cucumber and keep for an hour. Drain and wash the cucumbers in water. Squeeze well to drain excess water. In a bowl stir sugar, vinegar and pepper till sugar dissolves. Add the cucumber to vinegar mixture. It can be used after 1 hour. Keep the balance refrigerated. This entry was posted in Chutney /Pickles /Raita and tagged cucmber pickle, danish cucumber pickle, salted pickle by PriyaBaby. Bookmark the permalink.